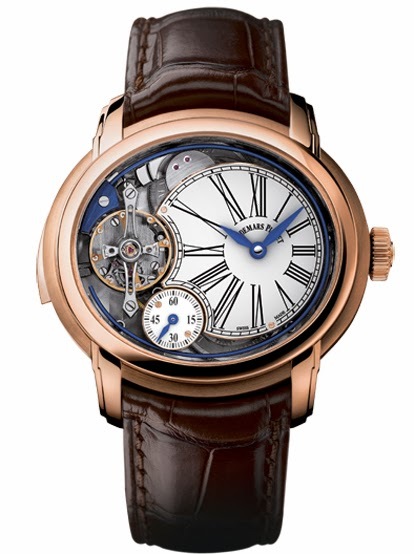 The new Millenary Minute Repeater in rose gold presented by Audemars Piguet during the Watches & Wonders salon in Hong Kong combines the immediately recognisable oval case and three-dimensional dial architecture with a sophisticated and innovative movement highlighted by Audemars Piguet's own escapement, double balance spring, striking mechanism and gongs. The escapement serves to transmit the energy from the barrel to the movement and it is essential for the smooth running of a watch. Inspired by the work of French, 18th century clock maker Robert Robin, Audemars Piguet's system combines the high efficiency of a direct impulse escapement with the reliability of a traditional lever escapement. Successfully reducing energy losses and eliminating the need to lubricate the pallet stones, this new escapement enhances rating accuracy, long-term stability and shock resistance. Entirely conceived, developed and produced by Audemars Piguet, the new hand-wound calibre which drives the Millenary Minute Repeater is further distinguished by the atypical construction of the regulating organ which is composed not just of one balance spring, but of two placed top to tail. Beating at 21,600 vibrations per hour, this opposite-facing double spring system compensates the imprecision resulting from the vertical position of the watch without needing to resort to a complex device such as a tourbillon. 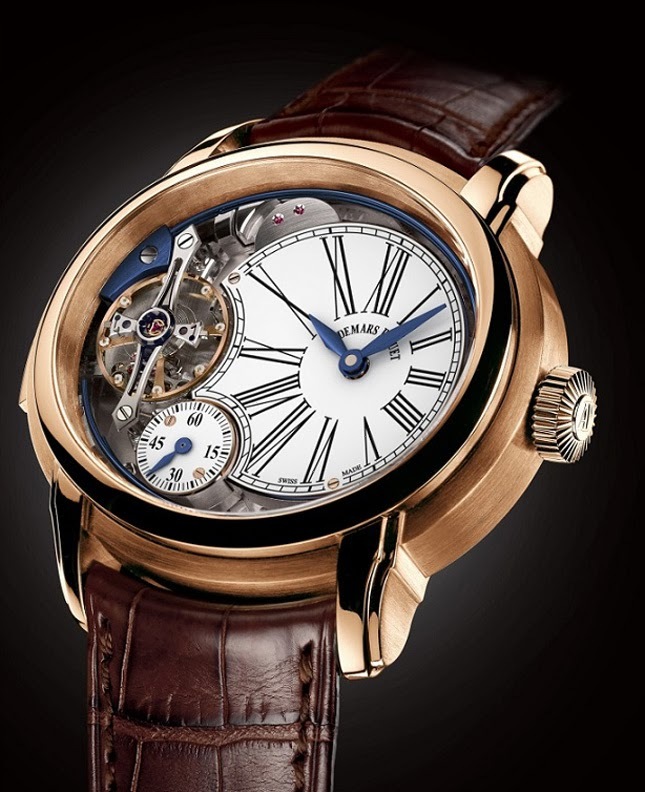 Two barrels guarantee a remarkable seven days power reserve while a third barrel, two-and-a-half times larger than normal, is dedicated to the striking mechanism. The Millenary Minute Repeater features a balance-stop system designed to ensure time setting accurate to the nearest second. The new winding system also incorporates a security device that prevents time setting while the striking mechanism is in operation in order to avoid any potential risk of damage. 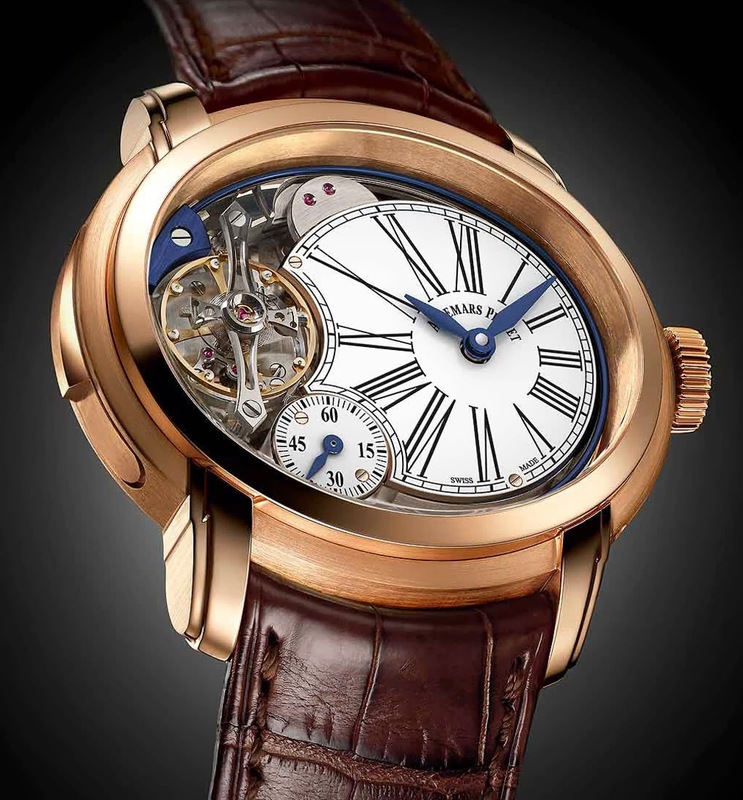 The 45 mm wide oval-shaped Millenary case is made from brushed pink gold and topped with a polished pink gold bezel. The dial is partially open worked with the white enamel hours and minutes dial at three o'clock and the small seconds sub-dial at seven o'clock. The beautifully 'blued' gong of the minute repeater which is visible from the top as it curves elegantly around the circumference of the case. The finishing quality can be admired from both sides of the watch thanks to the transparent case back, allowing two distinct views of its three-dimensional architecture. 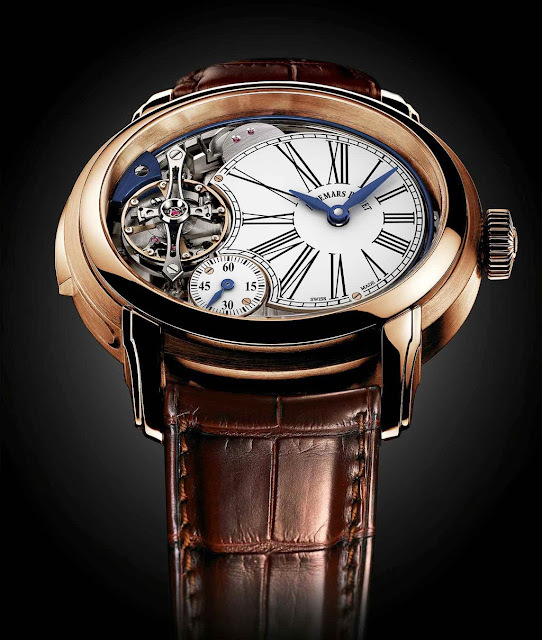 The new Millenary Minute Repeater in rose gold presented by Audemars Piguet during the Watches & Wonders salon in Hong Kong combines the immediately recognisable oval case with a sophisticated and innovative movement.